Mabel’s Fables Book Store | Kids in T.O. 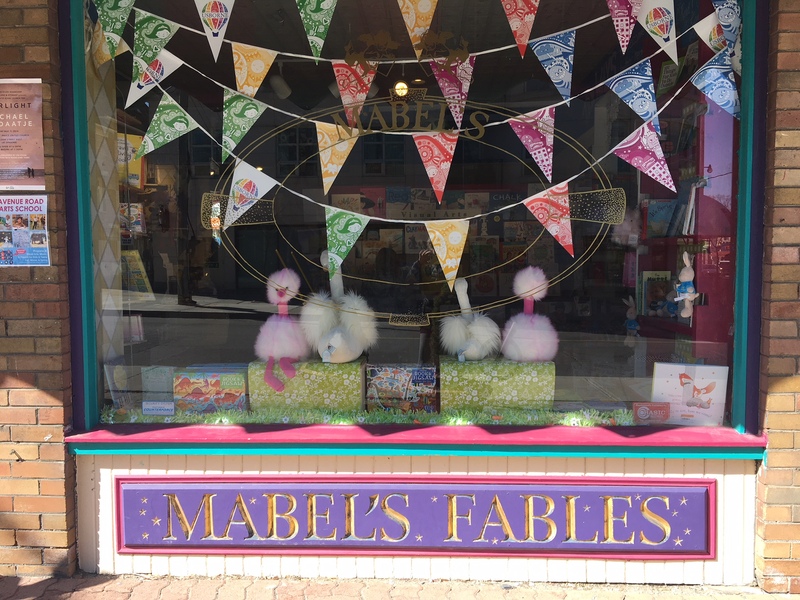 We love discovering independent bookstores and I can’t believe it took us this long to discover Mabel’s Fables in Toronto’s Mount Pleasant area. This neighbourhood staple has been on the same corner for decades, and this year it’s celebrating its 30th birthday! You’ll find the latest series, Canadian authors, classics, plus gift certificates and gift baskets for to inspire the little readers in TOw. There is also a regular line-up of classes and story times. Check online or sign up for the newsletter to be in the loop. Be sure to browse, buy, but also hang out. There is a cozy second-floor reading area. Getting there: Mabel’s Fables is on the corner of Mount Pleasant and Hillsdale (just south of Eglington.) Some free residential parking in the hood or paid Green P parking along Mount Pleasant. On TTC, the Mount Pleasant 74 bus leaves from St. Clair Subway or you could walk from Yonge and Eglington or Davisville subway stations. Snacks: Don’t recommend eating inside. There is a gelato place across the street. In the hood: Lots of locally-run businesses as well as some chain stores are found along Mount Pleasant. You’ll find Mastermind Toys just south – but be sure to travel a bit farther to check out Little White Sneakers, owned by local mom Kara Kennedy and her cousin Raegan. For kids’ classes, GymKats is located east on Bayview. Park play: For the nearest greenspaces, head south along Mount Pleasant to June Rowlands Park, home of the Sharon, Lois and Bram Music Garden. A bit farther south and west is Neshama Playground.